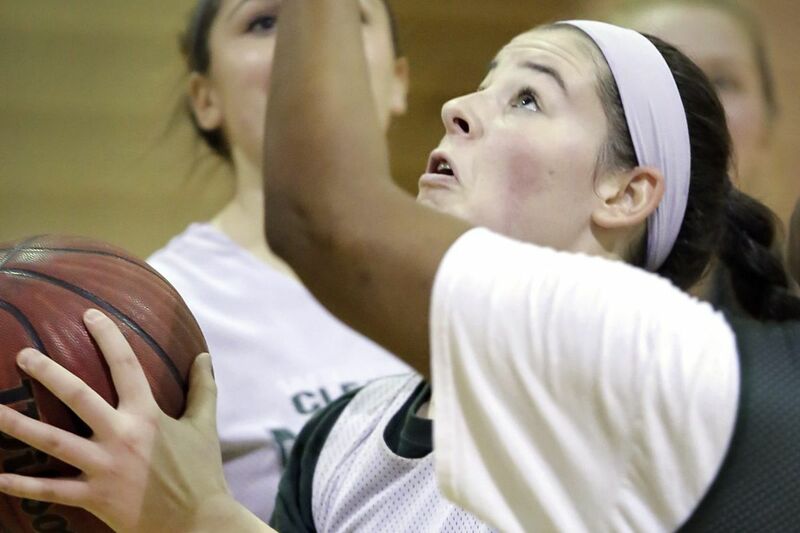 Over Christmas break, Elaina Hansen sported a blackened right eye, a battle scar from a recent game, visible from the stands as she grappled in the post for the Clearview girls' basketball team. For Hansen, the black eye was something of a badge of honor, a sign that, yes, she is back. All the way back. And now, when she reflects on the nasty hamstring injury that nearly derailed her senior season, she flashes a bit of a triumphant smile. "There was just no way," she said, "that that injury was ever going to stop me from playing." Hansen is fresh off five months of rehab, including six weeks on crutches, after surgery to repair a right proximal hamstring that was torn four inches out of place — an injury that she suffered in a summer league game in July. The injury is rare enough and serious enough that doctors told her it might not be possible for her play basketball this season. But Hansen isn't just playing, she's excelling, averaging almost 20 points per game and leading a young team. "Coming back from that, it makes you learn a lot about yourself. It makes you believe that you can do anything," said Hansen, who scored the 1,000th point of her career on Dec. 23. Hansen's presence off the court has been as impressive as her performance on it. Coming into this season, she was handed a far larger role on the team after the graduation of Jordan Harbaugh, one of the most prolific scorers Clearview has seen. She was also tasked with helping guide her team through a coaching change after the retirement of longtime coach Neil Bress. All of this while dealing with the personal hurdle of fighting her way back to full strength. "She's just tough. She's definitely tough." Toughness has been a defining trait of Hansen's throughout her high school career across several sports. While she's one of the most polished basketball players in South Jersey, she actually excels even more in softball. In just three seasons, she's already Clearview's all-time leader with 22 career home runs. She'll play the sport while studying nursing next year at Holy Family University. She said it helps to set personal goals and try to reach milestones in both sports. And scoring her 1,000th point — even as she worked to gain greater strength back in her leg — was just another milestone that she was striving for. "That was a great moment. It was one of my goals since coming into high school," Hansen said. "Suffering that injury was tough. But it just made it even more amazing to be able score my 1,000th point. "Coming into this season, I just knew I had to step up big. And that's exciting to me. I want to be a leader on this team."